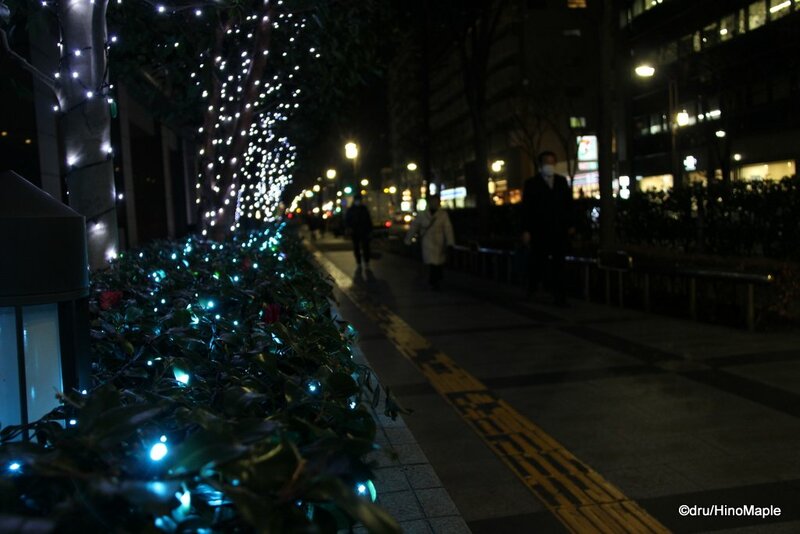 Christmas is over but the lighting displays in Tokyo aren’t. You can still see a lot of different lighting displays until almost February, and sometimes into February. 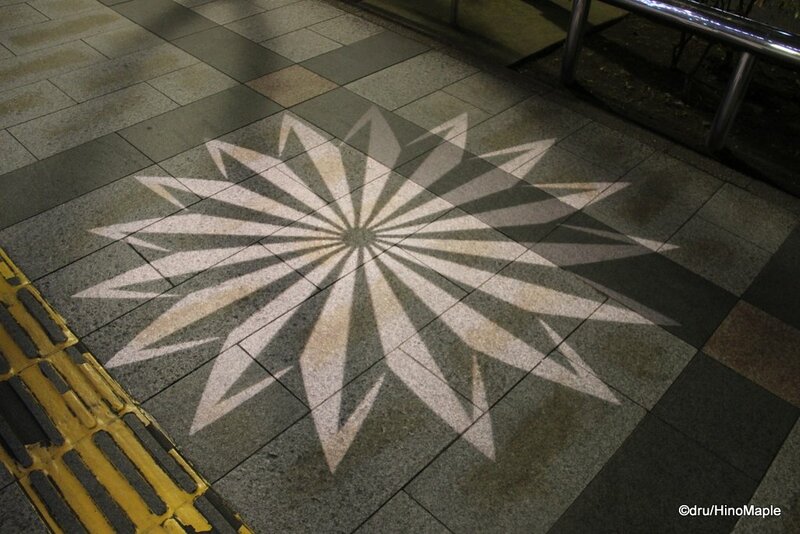 While Kinshicho is a relatively small station for anyone to visit, they still put on a nice light show. They tend to keep things similar or the same with only a few changes from year to year. The south side is not too interesting for lighting displays but the most interesting area is probably the entrance to Livin, a department store that has a nice tree. No photos from me though. I personally enjoy the north side a lot more as the lighting is more interesting. The Arca East is a small building just outside the entrance of the north gate of the JR Station. Their light display is always a little different each year and this year they had a space theme. They have had Tokyo Sky Tree and Jazz themes in the past. This year was equally as nice. The front of the ArcaKit building, the main department store building in Kinshicho has been expanding their lighting display each year. 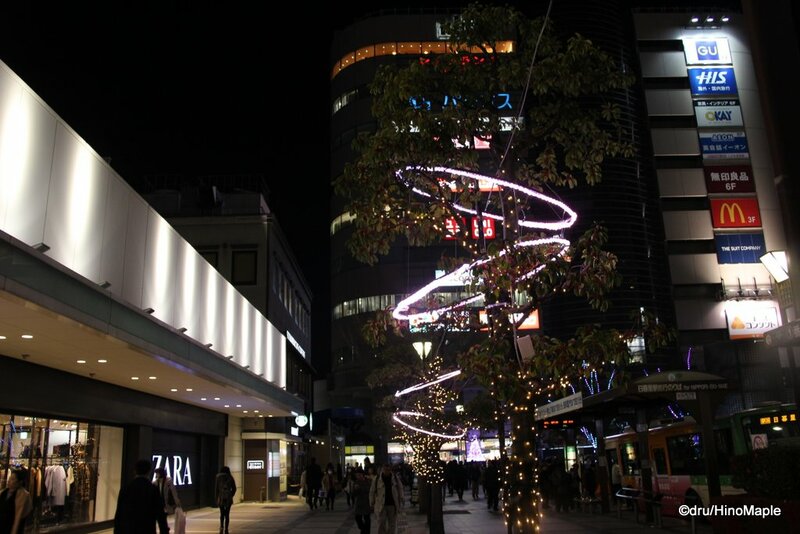 They tend to add more lights since I first moved to Kinshicho. The ArcaKit entrance plaza is now full of lights and it looks good. This year I particularly liked their “tree”. They set up a nice little tree that looked like dozens of candles. 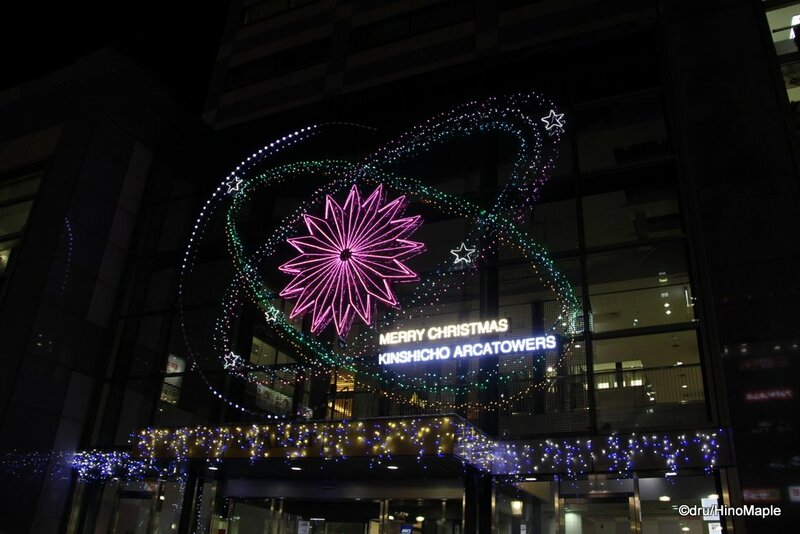 If you decide that the station is not enough for Christmas lights, or you want to spend a night in Kinshicho, ArcaKit is working with the Tobu Hotel and the entire street is lit up along the Arca Towers and the Tobu Levant Hotel. It is a nice display but a lot of the lights are similar to previous years. This year they added floor projectors which have been popular for people to look at, but not really photograph. If you are in Kinshicho, it is nice to take a look at the lights for a few minutes, but you really don’t need to make a trip out to Kinshicho just to see the lights. You may want to head to Kinshicho to see something else, and in that case it is a nice idea to check out the lights while you are there. PS: If you haven’t been looking, I put all of the photos up on G+ sooner or later. 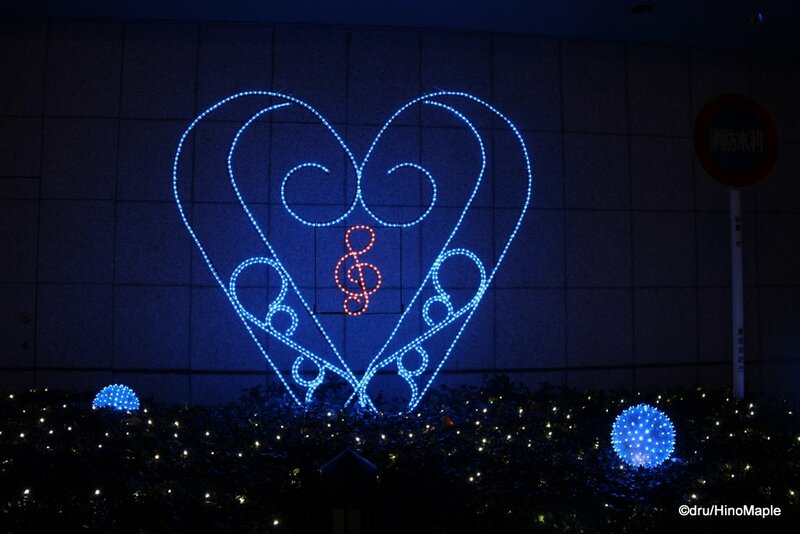 If you want to see more of the Christmas lights from around Tokyo, head to the G+ page! 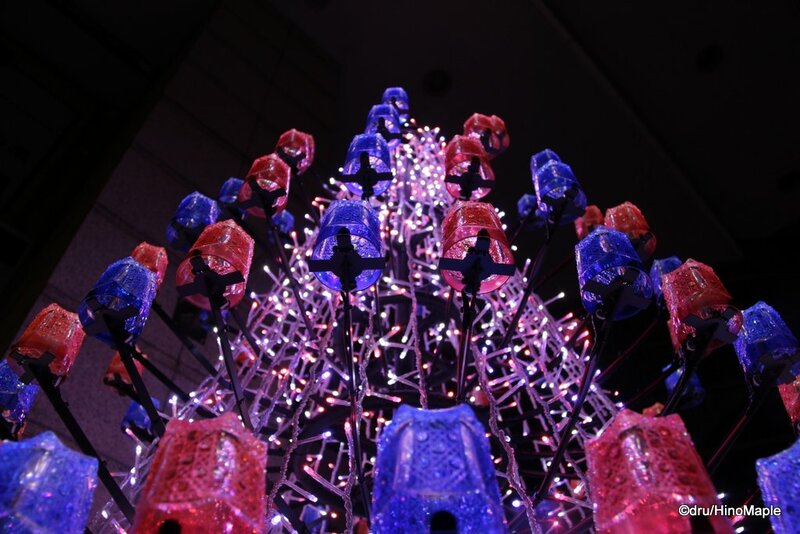 This entry was posted in Christmas, Tokyo and tagged Arca East, Arca Towers, Arcakit, Christmas, Christmas in Tokyo, Christmas Lights, Illumination, japan, Kinshicho, Tobu Levant Hotel, tokyo by Dru. Bookmark the permalink. 5 months of Christmas. Let’s make it 12! and the Joker got away hey!